Researcher believe the solar lull could cause major changes, and say there is a 20% chance it could lead to ’major changes’ in temperatures. ’Whatever measure you use, solar peaks are coming down,’ Richard Harrison of the Rutherford Appleton Laboratory in Oxfordshire told the BBC. ’There were cold winters, almost a mini ice age. ’We have 400 years of observations, and it is in a very similar to phase as it was in the runup to the Maunder Minimum. 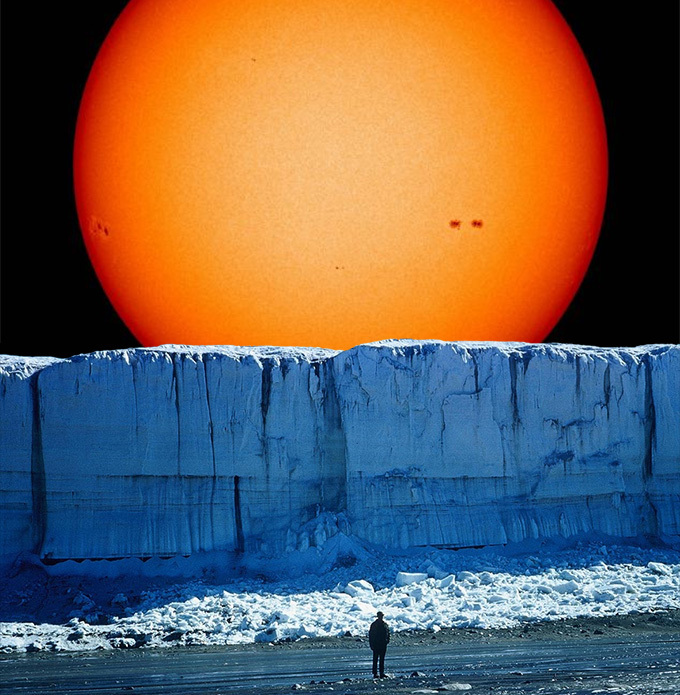 ’We estimate within 40 years there a 10-20% probability we will be back in Maunder Minimum territory,’ he said. This year was supposed to be the year of ’solar maximum,’ the peak of the 11-year sunspot cycle. ’Sunspot numbers are well below their values from 2011, and strong solar flares have been infrequent,’ the space agency says. The image above shows the Earth-facing surface of the Sun on February 28, 2013, as observed by the Helioseismic and Magnetic Imager (HMI) on NASA’s Solar Dynamics Observatory. Experts have been baffled by the apparent lack of activity – with many wondering if NASA simply got it wrong. ’This is solar maximum,’ he says. If the two cycles are twins, ’it would mean one peak in late 2013 and another in 2015’. 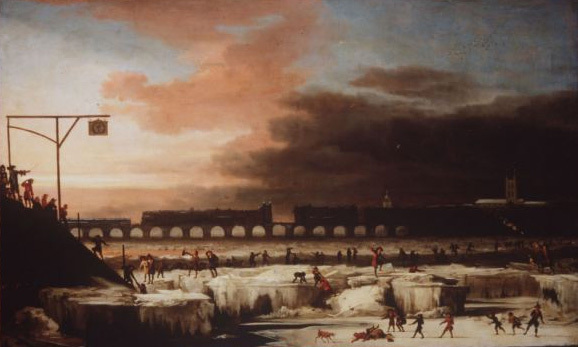 It caused London’s River Thames to freeze over, and ’frost fairs’ became popular. This period of solar inactivity also corresponds to a climatic period called the “Little Ice Age” when rivers that are normally ice-free froze and snow fields remained year-round at lower altitudes. Researcher Robert Felix speaks about climate and the possibility we could be heading into an ice age. According to a study, the Himalayas have lost no ice in the last 10 years, and glaciers are growing in areas such as Mount Everest, he noted. 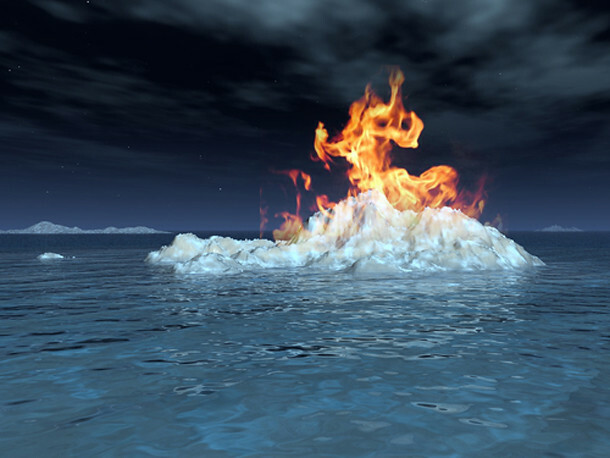 Ice age cycles occur around every 11,500 years, and one sign that one is impending is increased volcanic activity, particularly underwater, he stated. An ice age, or more precisely, a glacial age, is a period of long-term reduction in the temperature of the Earth’s surface and atmosphere, resulting in the presence or expansion of continental ice sheets, polar ice sheets and alpine glaciers. Within a long-term ice age, individual pulses of cold climate are termed “glacial periods” (or alternatively “glacials” or “glaciations” or colloquially as “ice age”), and intermittent warm periods are called “interglacials”. Glaciologically, ice age implies the presence of extensive ice sheets in the northern and southern hemispheres. By this definition, we are still in the ice age that began 2.6 million years ago at the start of the Pleistocene epoch, because the Greenland and Antarctic ice sheets still exist. Robert Felix, a former architect, became interested in the ice-age cycle back in 1991. He spent the next eight and a half years, full-time, researching and writing about the coming ice age. He then concentrated on spreading the word. Robert’s book, “Not by Fire but by Ice” has achieved international acclaim with readers around the world. Today, Felix continues his research, and is more firmly convinced than ever that the next ice age could begin any day. In fact, he believes it has already begun. The coming New Ice Age presents the severest danger that ever confronted humanity: It will disable large portions of the world’s agricultural regions. Fortunately, meeting the physical challenge is easy. But to get there, formidable cultural, scientific, and spiritual challenges need to be met, especially in today’s collapsing civilization. The required responses are difficult. Most are seemingly impossible to achieve, though they promise the greatest new Renaissance of all times. Could the next ice age begin any day? If so, what is the evidence for it? 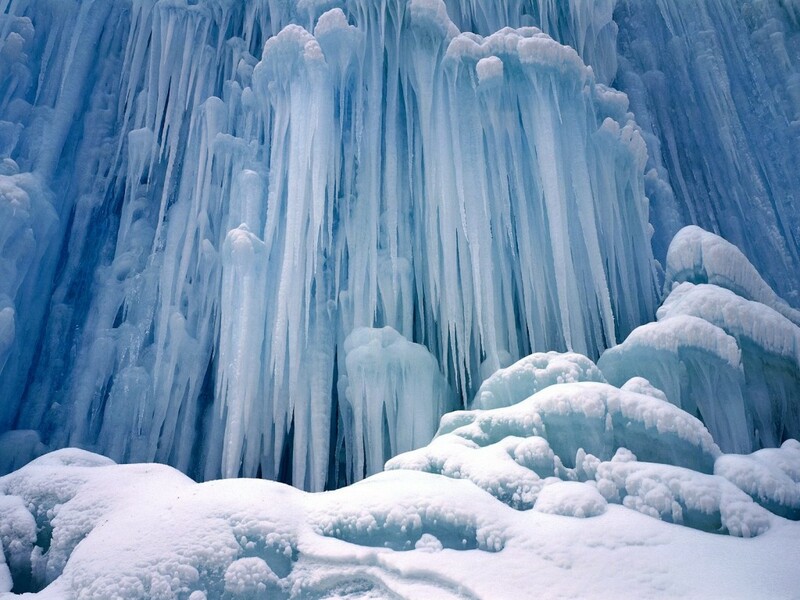 We talk with author Robert Felix about the coming ice age. Robert Felix, a former architect, became interested in the ice-age cycle back in 1991. He spent the next eight and a half years, full-time, researching and writing about the coming ice age. Robert’s book is called, “Not by Fire but by Ice”. Robert Felix argues convincingly that, rather than runaway heating due to humans’ burning fossil fuels, the world is much more likely to face rapid onset of the next ice age in the near future. His latest book, “Magnetic Reversal and Evolutionary Leaps” is something we focus on in the second hour for our members. Both his books connect in an interesting way. Robert suggests that we are in for some big changes. The question is how soon can we expect the ice age to being? Stay with us as we explore the coming ice age, magnetic reversal and evolutionary leaps. Topics Discussed: ice ages, the Milankovitch Cycle, global warming and extreme cold, Blake magnetic reversal, orbital stretch, Maunder minimum, sun activity, the jet stream, Pierce Corbin, Mt. St. Helens, CO2, food crisis, underwater volcanoes, Yellowstone, super volcano, processional cycle, Arctic Ocean, subtropical Greenland, Climate Research Unit, Don Easterbrook, glaciers growing not melting, Gulf current stopped, precipitation during winter, the medieval warm period, volcanic ash and more.